Is still in beta stage and looks like Google Analytics. AdSense soon will chance user interface and the preview looks really nice and smooth. 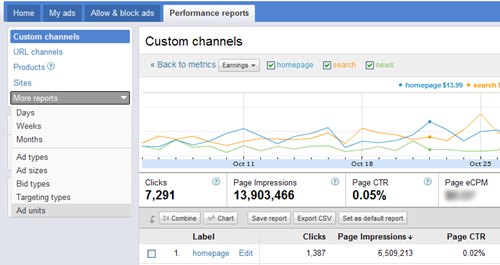 The new AdSense interface includes more detailed performance reports and enables you to view daily stats in graphical formats. It also will provide you with additional metrics such as the amount you’ve earned from various ad, targeting and bid types. The new interface is tested by a small group of publishers and hope soon come as live version. AdSense default font size today will be Larger as announced by AdSense staff. But if your ads is currently set to ‘small’. You can select a new font size on an account-wide basis in the Ad Display Preference section of your My Account tab, or on an individual ad unit basis for new and existing ad units. Google is testing a new system which will show more relevant advertisements according to the interests of the visitors to a site. Thanks to a cookie, he can track all visits to a person on all sites that use the system of DoubleClick. In this way, it will be easy for Google to identify what are the main interests of users, for example if someone visits the sites mainly in music, sports or films. Did you have calculate your Website Worth? 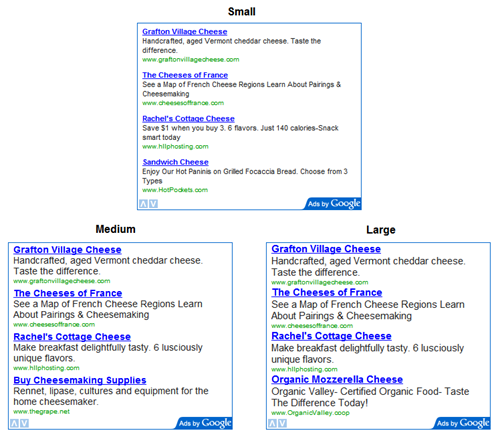 There are several online tools that offer a valuation website. But today I want to share one that supposedly makes the valuation from a different approach. This article will you show the three-part series on Optimisation Essentials for AdSense for content. 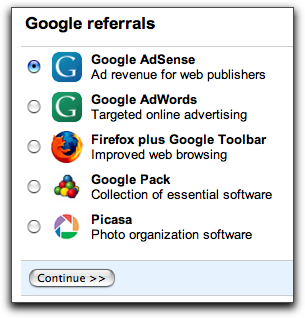 Google will retire the AdSense Referrals program during the last week of August. Google Affiliate Network: As part of the integration of DoubleClick, the DoubleClick Performics Affiliate Network will now operate as the Google Affiliate Network for advertisers targeting users located in the United States. Similar to the AdSense Referrals program, the Google Affiliate Network enables publishers to apply for advertiser programs and get paid based on advertiser-defined actions instead of clicks or impressions. For further details, please visit: http://www.google.com/ads/affiliatenetwork/. AdSense for content ads: If you have less than three AdSense for content ad units on a page, you may wish to replace the referral ad units with standard AdSense for content ad units. 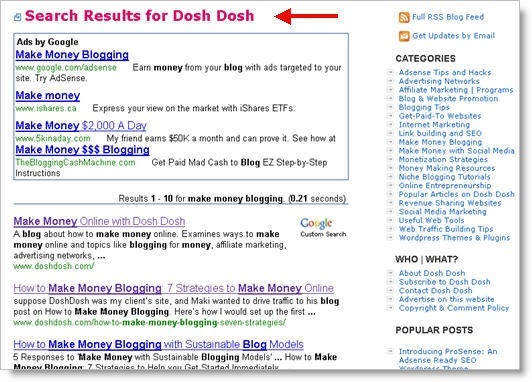 A complete guide is written by Maki from doshdosh.com website. Will explain you how to make a custom Google Search Engine for you website. All what you need is simply a wordpress website and Adsense account. I will post the first steps here and the rest you can read from doshdosh.com.